Looking over Niseko Grand Hirafu from Hanazono. A complete guide to Niseko United, Japan's most international ski resort. The ski area that is commonly referred to as “Niseko” actually comprises four ski resorts – Grand Hirafu, Hanazono, Niseko Village and Annupuri – which combine to form Niseko United. Niseko United resorts are independently owned and managed, but can be accessed by a single lift pass, making it one of the largest ski areas in Japan. Niseko United is best known for the copious amounts of light, dry powder that blanket the resort each season, with an annual snowfall average of around 15 metres. It is also Japan’s most international resort, with accommodation types to suit all tastes and budgets, a vibrant nightlife and a comprehensive range of English-language services. The view from the Hanazono Hooded Quad Lift #3. The iconic Niseko view. Skiing down towards active volcano Mt. Youtei is a breathtaking experience. Riders who hike to Niseko’s “Peak Gate” are rewarded with stunning view and bottomless turns. Beginner areas in Niseko Hirafu can get very crowded over Christmas and New Year periods. Niseko Hanazono Resort is known for its excellent beginner facilities and terrain. Niseko’s United’s four ski resorts provide extensive skiing for visitors, with more than 55 km of skiable terrain dispersed across 61 runs and serviced by 38 lifts. A reasonably even spread of beginner, intermediate and advanced terrain makes it a suitable destination for skiers and snowboarders of all abilities. However, beginner and intermediate runs on the Grand Hirafu and Hanazono sides can be crowded over peak Christmas, New Year and CNY periods. Both Grand Hirafu and Niseko Village completed major lift upgrades for the 2017/18 ski season. One of the major selling points of the Niseko United resorts is the extensive night skiing, which is regarded as the best in Japan. A significant part of the mountain is lit by floodlights until 8:30 pm each night (for a limited period of the season), and the lights are strong enough to penetrate the trees and open up off-piste areas for some serious night riding. Click here for the Niseko United lift status and schedule. Another major feature of Niseko United resorts is the accessibility of its sidecountry and backcountry via a gate system, giving riders the chance to experience the tree runs, bowls, chutes and natural half pipes that lie to the south-east of the four resorts. There are nine gates dispersed across the four resorts – the most famous of which is the Hirafu “Peak Gate” – accessed by a short 20 minute hike from the top of the single-seated King #4 lift, and offering top-to-bottom runs and often bottomless turns. If you’re travelling to Niseko from anywhere that requires a flight, this is most likely the draw card. Niseko receives an average snowfall of around 15 metres a season, thanks the cold winds that blow over from Siberia, pick up moisture over the Sea of Japan and deposit huge amounts of snow on Japan’s northernmost island. Niseko is a magnet for some of the biggest snow storms on the planet. Days like this one are not uncommon. Quality of snow is as much of a factor as quantity. Niseko’s cold temperatures mean that the water content in the snow is incredibly low, leading to the light, dry “Champagne” powder that you’ve likely seen featured in the many thousands of Niseko powder skiing videos floating around the web. In short, Niseko’s snow is about as good as it gets anywhere in the world, so if skiing powder is your aim, there’s no better place. For up to date weather information and a live camera feed, visit our Niseko snow forecast page. Niseko has undergone significant development over the last decade, and now has accommodation options to suit most tastes. New hotels, condominiums and resort houses spring up virtually every season, and there are some major developments currently in planning stages. Niseko Village is home to two of the largest and most established hotels – The Green Leaf Niseko Village and Hilton Niseko Village. The latter has picked up “Japan’s Best Ski Hotel” at the World Ski Awards for the last four years and offers ski-in ski-out access, four restaurants, fitness centre, spa and Japanese hotspring. It will soon have to contend with two new 5-star offerings, with Park Hyatt (Hanazono) and The Ritz Carlton (Niseko Village) slated for completion in 2019 and 2020 respecitively. Niseko Hirafu’s more diverse selection of accommodation options include ski-in ski-out newcomer Ki Niseko, four-time winner of World’s Best Ski Voutique Hotel The Vale, and the locally-managed Hotel Niseko Alpen. A large percentage of the self-catered accommodations – predominantly condos and town houses – are managed the the area’s three biggest tourism operators: Ski Japan, Nisade and Niseko Central (formerly HT Holidays). AYA Niseko, a 330 bed ski-in ski-out condo hotel opened its doors in December 2016 – located at the base of the very popular Family run in Grand Hirafu resort. Skye Niseko, a 96 room ski-in ski-out luxury hotel located on the site of the old Scott Hotel, will open for winter 2018/19. Needless to say, there’s plenty of interest in Niseko at the moment and it’s going to get very busy! Niseko shopping has taken a large leap forward over the last few years, with large retailers like Rhythm Snow Sports offering a quality range of ski equipment, outerwear and accessories, as well as an extensive selection of rental equipment. Shops like iGate Ikeuchi and The North Face Gravity Niseko are likewise packed with high-end alpine and outdoor gear, but you can expect to pay a premium for the luxury of shopping in Japan’s most popular ski resort. Niseko’s most established retail and rental shop, Rhythm Snow Sports. The iconic Seicomart convenience store, located at Niseko Hirafu’s only set of traffic lights, is the village’s one-stop shop for your daily necessities, including bread, snacks, fruit, veg, pre-made meals, cereal, beer or wine. Even vegemite is sold – a indication of the extent to which Australians have had an influence on the resort. Lawson, which is located just down the road, has a similar offering. The more upmarket option is Niseko Supermarket and Deli, which stocks fresh fruit and veg, imported beers and wines, an assortment of dry good and various deli-style items. 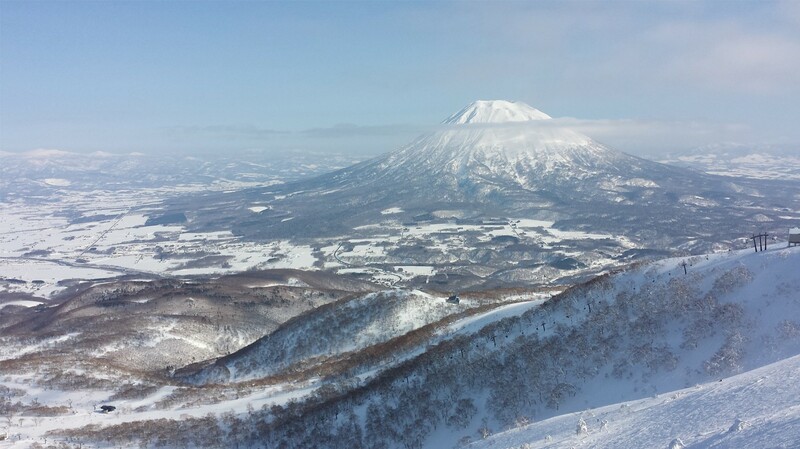 It’s also home to Niseko Hirafu’s one-and-only international ATM! To find to a large Western-style supermarket, you will need to take the Niseko United shuttle into Kutchan, where there are three major supermarkets – Max Value, Supermarket Lucky and Kutchan Co-op. Unlike many ski resorts in the world, where there is a single ski school servicing an entire resort, Niseko ski schools are in abundance. And there’s no need to be concerned that you don’t speak any Japanese; there are more Australian instructors on the mountain than Japanese. Gondola Snowsports (GoSnow) is based next to the Hirafu Gondola and has the added advantage of priority lift lines and a private beginner area. Hanazonono-based NISS (Niseko International Snowsports School) is a great option for those new to skiing or snowboarding, with extensive green terrain, private beginner areas and three magic carpets. Gondola Snowsports (GoSnow) is Niseko-Hirafu’s largest snow school, with locations next to the Gondola and at the base of the Family run. They have the added benefit of priority lift lines, which can be a huge draw card during the busier parts of the season. Niseko is fortunate to have some of the best backcountry terrain and conditions on the planet – some of which is lift-accessed and other areas which are reached by ski touring, cat or even heli. It is the best way to score Niseko’s famous fresh powder to yourself; however, unless you have significant backcountry experience and knowledge of the area, we would always recommend going with a local guide. Cat skiing involves transportation into backcountry areas by way of snowcat, and strikes a nice balance between easy access to terrain (there’s little or no hiking involved) and affordability. Niseko Weiss Powder Cats Tours is a reputable operation managed by Niseko Hanazono Resort, and offers guests exclusive access to the nearby Mt. Weisshorn (formerly a ski resort). The House of Powder is a newer operation – it opened for the 2016/17 season – providing its guests with access to the recently reopened Chisenpuri (also a former ski resort), which lies to the west of the four Niseko United resorts. For those with deeper pockets, there is a single heli skiing operation in the Niseko area run by the Hokkaido Backcountry Club, which drops riders on Shiribetsu-dake, an active volcano located just 30 minutes from Niseko. The area is known for its fresh powder lines and steep ridges covered in beautiful birch forest, and was featured in the 2014 Warren Miller film “No Turning Back”. In most cases it will not be necessary to rent a car while in Niseko as the transport around key areas of Niseko is quite reliable. The Niseko United Shuttle connects each of the four resorts, beginning at Kutchan and running all the way through to Ikoi-no Yuyado Iroha (just past Niseko Annupuri Ski Resort). The service is free for those in possession of an All Mountain pass, and a few dollars for those without. Look out for the orange bus! The Niseko United Shuttle links the four ski resorts and is free for those in possession of an all-mountain lift pass. Download the 2017/18 Niseko United Shuttle schedule. In addition to the Niseko United Shuttle, each of the four resorts has its own shuttle service. Major hotels (Hilton Niseko Village, Ki Niseko, The Green Leaf Hotel) also run frequent trips for their own guests. Ski Asia tip: The construction of a Shinkansen (bullet train) line between Tokyo and Sapporo is scheduled for completion in 2030, and will pass through Kutchan Town – just a 10 minute drive or bus ride to Niseko Hirafu. It is set to make lightning-fast trips between Sapporo and Niseko a reality and also present a second option for those travelling from Tokyo to Niseko. Niseko locals like to claim that their dining and nightlife is now as much of a draw card as their snow, and it’s not far from the truth. Leading the way are highly acclaimed eateries like Rakuichi (Japanese soba restaurant), the iconic Michelin-starred Kamimura and Restaurant Asperges Hanazono – led by led by 3-Star Michelin Chef Nakamichi. They sit at the high end of an extraordinarily diverse and exciting dining scene, which includes everything from Nepalese food carts to Italian family-run pizza restaurants to intimate sushi bars. On the drinking side, the resort has justifiably earnt its reputation as a party town, with bars like the aptly named Wild Bill’s or Bigfoot catering to large crowds of twenty-somethings with an unquenchable thirst for beer, cheap cocktails and loud music. For something a little more relaxed, head to the ultra popular Gyu Bar, better known as “The Fridge Door” – a description of the not-so-secret entrance that you’ll need to squeeze through to get to the tasty cocktails and jazz soundtrack that await. Toshiro’s and Blo Blo are two other local favourites with ambience, well-made drinks and good service, but with bars coming and going every season, your best bet is to get out and explore. The not-so-secret entrance to Niseko’s Gyu Bar (The Fridge Door). Image: Glen Claydon Photography. Ski Asia Tip: Niseko’s restaurants and bars can get extremely busy over the Christmas, New Year and CNY periods, so early bookings are essential. Many establishments will require you to pay a deposit on a reservation, so plan ahead and make sure you show up on time! Niseko weathers a lot of criticism when it comes to culture, with many believing that the resort has become overrun with international staff and tourists. Comments like “too many Australians” or “not Japanese enough” are common. The sentiment is not entirely unjustified, but the growing numbers of international tourists and the “internationalisation” of the resort is a trade-off for having the convenience of English-speaking services, Western-style hotels and an international cuisine. In truth, there are still any number of ways to immerse yourself in the Japanese culture, be it a trip to one of the area’s many natural onsen hotsprings, an evening at a local Japanese restaurant (there are many) or a trip into Kutchan – Niseko’s neighbouring town. Niseko’s locals are proud of their town and, increasingly, efforts are being made to introduce visitors to the area’s rich culture and history. The Festival of Japan, with the tagline “visit Niseko for the powder, discover something even deeper”, is one such initiative. Other major costs include English-speaking snowsports lessons, which can set you back around 13,000 JPY for a day of group lessons, or 53,000 JPY for a full-day private. For rental equipment (skis, poles & boots), prepare to pay up to 6,000 JPY/day for the best brands and equipment. Niseko United lift tickets are more expensive than most ski resorts in Japan, but very reasonable in comparison to the major resorts of Europe and North America. Lift tickets are Niseko’s one saving grace, and are very reasonable compared to the lofty prices set by North American and European resorts (but still higher than virtually all other Japanese ski resorts). A single day all-mountain pass costs 6,900 JPY, or you can choose to ski Hirafu and Hanazono only on a Grand HIRAFU pass for just 5,200 JPY. By comparison, a single day lift ticket at Vail, one of the most popular resorts in North America costs 175 USD (approx. 20,500 JPY). The prices we’ve listed above are for single day expenses, and it’s worth noting that – with the exception of accommodation – there are usually discounts for multi-day packages. Anyone budget-conscious traveller planning on visiting Niseko should also consider skiing before Christmas or after Chinese New Year, when discounts and special offers are particularly common. Niseko is perhaps the most expensive ski resort in Asia, but with some careful planning and a bit of luck, it’s possible to book a holiday without completely breaking the bank. Any additional questions about Niseko United Ski Resort? Get in touch with Ski Asia by emailing contact@skiasia.com. We’d love to hear from you! Niseko has enjoyed a sensational surge in popularity over the last decade, thanks to its reputation as a powder lover’s paradise. No one can dispute the incredible snow or the abundance of world-class hotels, restaurants and bars. But it is now also one of the most expensive resorts to spend a holiday and can attract some serious crowds during peak season – mostly from Australia, Hong Kong and Singapore.